Summertime brings a whole host of fun family outdoor activities- baseball games, picnics, biking, barbeques, and so much more. This summer, we’re bringing together two of our favorite warm weather pastimes- biking and baseball! 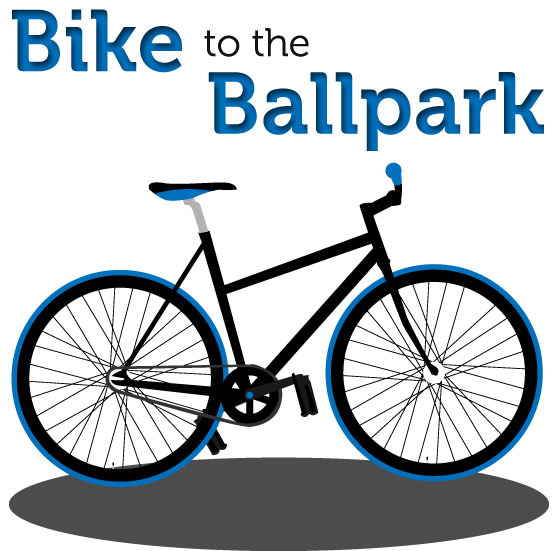 Join PacificSource Health Plans in Biking to the Ballpark this summer. We’ve organized rides to ballparks in Medford, Idaho Falls, Helena, and Billings and secured a special discount for riders in Missoula. So pump up your tires and join us this summer! Start your ride at Pioneer Park (Third Street West and Parkhill), enter to win prizes, and bike your way to Dehler Field to watch the Mustangs. Game starts at 7:05pm, meet at the park at 6pm. Start your ride at PacificSource Health Plans (828 Great Northern Blvd. ), enter to win a new bicycle, and bike your way to watch the brewers! Once at the game, free valet bike parking will be provided courtesy of Bike Walk Montana. June 26, game starts at 7:05pm, meet at PacificSource at 6pm. July 20 and August 17, games start at 1:05pm, meet at PacificSource at noon. Start your ride at PacificSource Health Plans (901 Pier View Drive in the Snake River Landing), enter to win a new bicycle, and bike your way to Melaleuca Field to watch the Chukers. Games start at 7:15pm, meet at PacificSource at 6pm. Start your ride at PacificSource Health Plans (1301 Poplar Dr.), enter to win some prizes, and bike your way to Harry and David Field to watch the Rogues. July 13 and August 9, the games start at 6:35pm, meet at PacificSource at 5:30pm. Tuesday night is Bike to the Ballpark! Fans who arrive at the Osprey game on their bicycle will receive a coupon for 2-for-1 admission to the night’s game. All games start at 7:05pm. My name is Rosco and I work at Healthy Campus Initiatives at Oregon State University (OSU). We strive to engage our campus community in conversations over the importance of healthy eating, being active, stress management and tobacco cessation. Commonly, there are events, activities and lectures around campus that highlight one or more of these general wellness areas, and on May 22nd, Dr. Linda Bacon a professor, researcher, and the author of the book Health at Every Size: The Surprising Truth About your Weight gave a lecture at OSU entitled “The Next Public Health Challenge: Losing the Anti-Obesity Paradigm.” This presentation focused on issues around the false relation of body size and disease. Dr. Bacon spoke of the current obesity trends and how obesity is currently at a plateau. Dr. Bacon presented the ongoing initiative of Health at Every Size (HAES) that focuses on being accepting of size, finding pleasurable physical activities, and adapting nourishing eating habits through eating mindfully. Diets only show to have positive impacts on health in the short term, but also increase inflammation and encourage weight cycling. People implementing HAES showed to have greater success because of the healthy behaviors suggested and they were also more likely to stick with it in the long term. The issue is that society today relates weight to health; encouraging people to strive for an impossible ideal of a magical body fat percentage that may actually be unrealistic or unobtainable. These paradigms create a stigma on being overweight or obese and can be more damaging for the developing youth by encouraging the consideration of harmful behaviors (e.g., “yo-yo” dieting). People implementing HAES have reported greater success because of the healthy behaviors suggested and they were also more likely to stick with it in the long term. My background consists mainly of the physiology of fitness and nutrition so I was excited to learn about the psychological and social aspects of body composition. 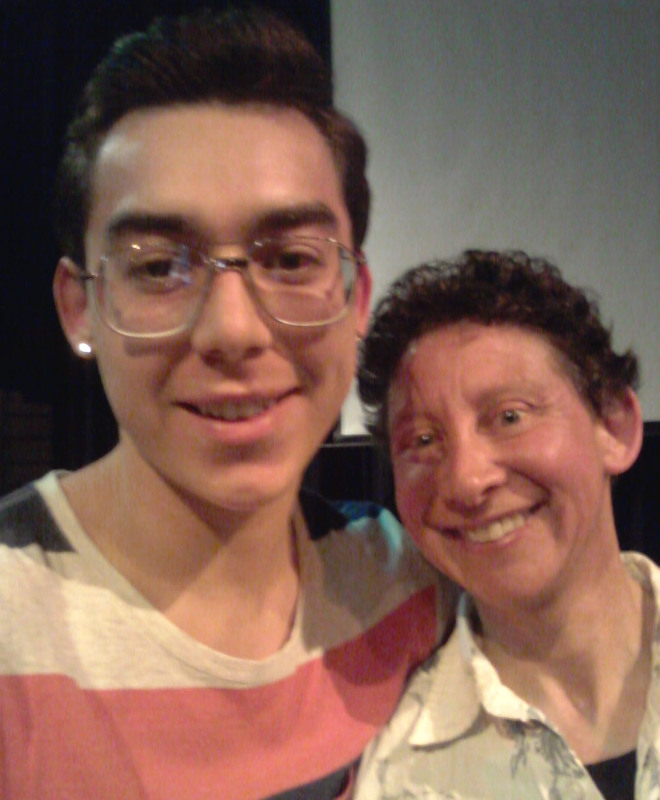 The ideas and findings presented during this lecture were very informative. The HAES program has shown to be beneficial for many and I highly encourage everyone to review the program for the improvement of overall health. PacificSource was the presenting sponsor of the 2014 Saint Alphonsus Capitol Classic – A Children’s Race. 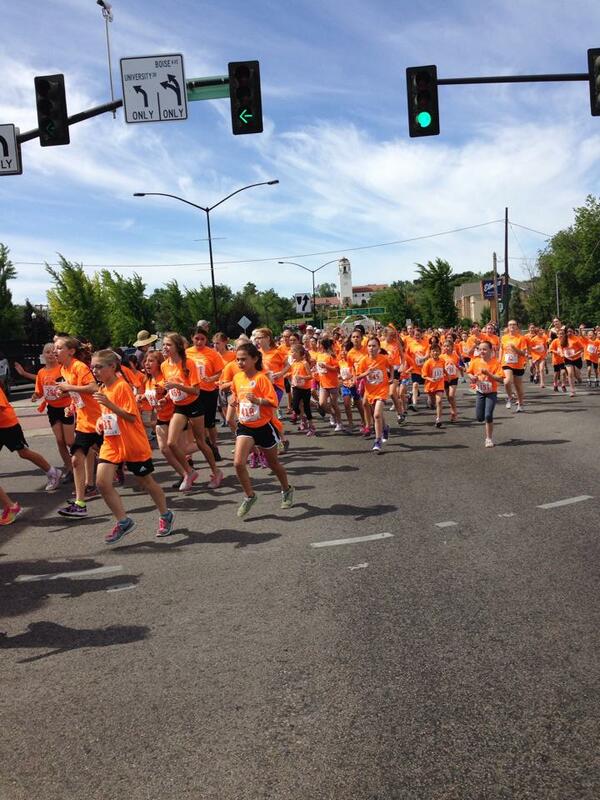 This past weekend a sea of bright orange racers filled Capitol Boulevard as kids, ages 6 to 14, raced from the Boise Train Depot to the Idaho State Capitol. Some great festivities awaited both kids and parents down at Capitol Park. PacificSource had a fun obstacle course as well as photo stand-ins for people to capture ways to be active outdoors. It was so great to see so many kids starting their summer break in such an active way. We hope that both kids and their parents are able to find some fun ways to stay play together this summer; here’s a link to ten ways you can be more active as a family.